Dan Kneen was left frustrated after an intense last lap battle with Dean Harrison saw him miss out on victory in the second Superbike race by just 0.1 seconds. 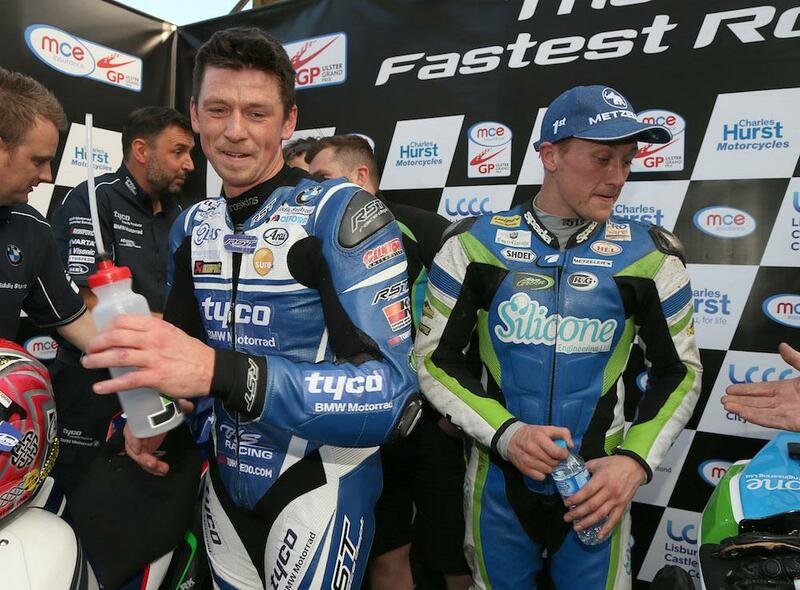 Once he’d got to grips with the Tyco BMW, which he was riding in place of the injured Ian Hutchinson, Kneen was on the money during Saturday’s races and started on a high with a podium in the Superstock class. He’d go on to battle with Harrison for third in the feature Superbike race, missing out on the rostrum by just 0.06 seconds. However, a scrap with the Yorkshireman on the final lap of the second big bike race resulted in contact at the hairpin leaving Kneen seething to cross the line second.